Qian Long - Book and Sword, ATV Dynasty, etc. The Qianlong Emperor (乾隆帝) (born Hongli, September 25, 1711 – February 7, 1799) was the fifth emperor of the Manchu Qing Dynasty, and the fourth Qing emperor to rule over China. The fourth son of the Yongzheng Emperor (雍正帝), he reigned officially from October 18, 1735 to February 9, 1796, at which point he abdicated in favor of his son, the Jiaqing Emperor (嘉慶帝 the sixth emperor), in order to fulfill a filial pledge not to reign longer than his grandfather, the illustrious Kangxi Emperor (康熙帝, the second Qing emperor). Despite his retirement, he retained ultimate power until his death in 1799. During the reign of the Qianlong Emperor, China attained its maximum territorial expanse; Xinjiang in the west was conquered, and Myanmar and Annam in the south were forced to recognize Chinese suzerainty. Commerce continued to thrive, handicraft industries prospered, and painting, printmaking, and porcelain manufacture flourished. Qianlong commissioned a catalog of all important works on Chinese culture, the Siku quanshu (四庫全書), containing about 3,450 complete works in 36,000 volumes; it was compiled partly to censor seditious references to the Manchus. The Qianlong Emperor is remembered for his rebuff of the British trade ambassador, George Macartney, in 1793. Despite its successful military expansion, the later years of Qianlong’s reign were characterized by corruption in the government, and the cost of military campaigns, building projects, travel and personal luxury left the national treasury depleted. The Qianlong Emperor was born Hongli, September 25, 1711. Certain myths and legends claim that Hongli was actually a Han and not of Manchu descent, others say that he was half Manchu and half Han Chinese. It is apparent from historical records that Hongli was loved both by his grandfather, the Kangxi Emperor and his father, the Yongzheng Emperor. Some historians argue that the Kangxi Emperor appointed Yongzheng as his successor to the throne because of Qianlong, who was his favorite grandson; he felt that Hongli's mannerisms and character were very similar to his own. As a teenager, Hongli was skilled at martial arts, and possessed considerable literary ability. After his father's succession to the throne in 1722, Hongli became the Prince Bao (宝亲王/寶親王). Like many of his uncles, Hongli entered into a battle of succession with his older half-brother Hongshi, who had the support of a large faction of court officials, as well as with Yinsi, the Prince Lian. For many years the Yongzheng Emperor did not endorse the position of Crown Prince, but many speculated that he favored Hongli as his successor. Hongli was sent on inspection trips to the south, and was known to be an able negotiator and enforcer. Hongli was also chosen as chief regent on occasions when his father was away from the capital. The Qianlong Emperor was a successful military leader, presiding over a consolidation of the expansive territory controlled by the Qing dynasty. This was made possible not only by Chinese military strength but also by the declining strength and the disunity of the Inner Asian peoples. Under Qianlong, Chinese Turkestan was incorporated into the Qing dynasty's rule and renamed Xinjiang, while to the West, Ili was conquered and garrisoned. The Qing also dominated Outer Mongolia after inflicting a final defeat on the Western Mongols. Throughout this period there were continued Mongol interventions in Tibet and a reciprocal spread of Tibetan Buddhism in Mongolia. Qianlong sent armies into Tibet and firmly established the Dalai Lama as ruler, with a Qing resident and garrison to preserve Chinese suzerainty. Further afield, military campaigns against the Burmese, Nepalese, and Gurkhas forced these peoples to submit and send tribute. In 1787 the last Le king fled a peasant rebellion in Vietnam and formally requested Chinese aid to restore him to his throne in Thanglong (Hanoi). The Qianlong Emperor agreed and sent a large army into Vietnam to remove the Tay Son peasant rebels who had captured all of Vietnam. The capital, Thanglong, was conquered in 1788, but a few months later, the Chinese army was defeated in a surprise attack during Tet by Nguyen Hue, the second and most capable of the three Tay Son brothers. The Chinese government gave formal protection to the Le emperor and his family but did not intervene in Vietnam for another 90 years. The Qianlong Emperor's military expansion captured millions of square miles and brought into the Chinese empire non-Han-Chinese peoples, such as Uyghurs, Kazakhs, Kirghiz, Evenks and Mongols, who were potentially hostile. It was also a very expensive undertaking; the funds in the Imperial Treasury were almost depleted due to the military expeditions. Though the wars were an overall success, they did not bring total victory. The size of the army declined noticeably, and Qing encountered serious difficulties with several enemies. The campaign to dominate the Jin Chuan area lasted three years; the Qing army suffered heavy casualties before Yue Zhongqi finally got the upper hand. A campaign against the Dzungars inflicted heavy losses on both sides. The Qianlong Emperor was a major patron of the arts. The most significant of his commissions was a catalog of all important works on Chinese culture, the Siku quanshu (四庫全書). Produced in 36,000 volumes, containing about 3,450 complete works and employing as many as 15,000 copyists, the entire work took some twenty years. It preserved many books, but it was also intended as a means of ferreting out and suppressing those deemed offensive to the ruling Manchurians. Some 2,300 works were listed for total suppression and another 350 for partial suppression. The aim was to destroy the writings that were anti-Qing or rebellious, that insulted previous barbarian dynasties, or that dealt with frontier or defense problems. Qianlong was a prolific poet and a collector of ceramics, an art which flourished in his reign; a substantial part of his collection is in the Percival David Foundation in London. Architecturally, Qianlong took personal interest in the expansion of the Old Summer Palace and supervised the construction of the Xiyanglou or "Western Mansion." In the 1750s Qianlong commissioned Italian Jesuit Giuseppe Castiglione to design a series of timed waterworks and fountains complete with underground machinery and pipes for the amusement of the Imperial family. In his later years, Qianlong became disillusioned with his power, and began to rely heavily on Heshen, his highest-ranking and most favored minister. The day-to-day governance of the country was left in the hands of Heshen while Qianlong himself indulged in luxuries and his favorite pastime of hunting. It is widely remarked by historians that Heshen laid the foundations for the future collapse and corruption of the Qing dynasty. Eventually it became impossible to reverse the harm that had been done on every level of government. When Heshen was killed, it was discovered that the amount of his personal wealth surpassed the country's depleted treasury. Qianlong started his reign in 1735 with about 30,000,000 taels inherited from the period of Yongzheng's reign. Around 1775, Qianlong reached the peak of the Qing dynasty's prosperity with about 73,900,000 taels in the treasury, a record unmatched during the reigns of Kangxi or Yongzheng. However, mass corruption on all levels, along with heavy expenses of over 150,200,000 taels on military expeditions, the building of more palaces, six personal trips to Jiangnan, suppression of the White Lotus Rebellion, and luxurious spending, nearly depleted the once-prospering treasury. By the end of Qianlong's reign in 1796, the treasury was almost empty, leaving a serious problem for his successor, Jiaqing. In October 1795, after a reign of 60 years, Qianlong officially announced that in the spring of the following year he would voluntarily abdicate his throne and pass the crown to his son. It was said that Qianlong had made a promise during the year of his ascension not to rule longer than his grandfather, the Kangxi Emperor ( 康熙帝 the second Qing emperor). Despite his retirement, however, he retained ultimate power until his death in 1799. In anticipation of his abdication, Qianlong decided to move out of the Hall of Mental Cultivation in the Forbidden City, the residence dedicated only for the reigning sovereign, and ordered the construction of his residence in another part of the Forbidden City; however, Qianlong never moved out the Hall of Mental Cultivation. A legend claims that Qianlong was the son of Chen Yuanlong of Haining. When Emperor Kangxi chose the heir to his throne, he not only considered his son's ability to govern the Empire, but also the ability and character of his grandson, in order to ensure the Manchus' everlasting reign over the country. Yongzheng's own son was a weakling, so he surreptitiously arranged for his daughter to be swapped for Chen Yuanlong's son, who became the apple of Kangxi's eye. Thus, Yongzheng succeeded to the throne, and his "son," Hongli, subsequently became Emperor Qianlong. Later, Qianlong went to the southern part of the country four times, and stayed in Chen's house in Haining, leaving behind his calligraphy; he also frequently issued imperial decrees making and maintaining Haining as a tax-free state. Stories about Qianlong visiting the Jiangnan area to conduct inspections disguised as a commoner have been a popular topic for many generations. In total, Qianlong made eight tours of inspection to Jiang Nan; the Kangxi emperor made six inspections. 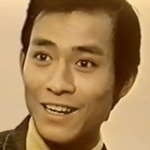 He appeared in The Legend of the Book and The Sword by JY, and some other fictions. Haining is also a birthplace of Jin Yong. This is the city where Qian Long always visited and stayed during his six times Jiangnan inspection. When I was in Haining, I had a chance to stay at the hotel which was an old mansion from Qing Dynasty turned into a hotel. And the hotel still keep the room where Qian Long used to stay. This old mansion apparently was previously owned by Chen Gelao (陈阁老）- a prime minister during Yong Zheng era. 1. Qian Long always managed to visit and stay at PM Chen's house during his six Jiangnan trip. 2. PM Chen's 3rd daughter, was the same age with QL. She's the third child in the family, but even her older siblings, and the rest of the family were really polite and treated her specially. This daughter's wedding was personally arranged by the Empress (Yong Zheng's wife), and the wedding ceremony was so grand that the treatment was more like a wedding ceremony for the Emperor's children rather than a Prime Minister. 3. QL wrote a poem about filial piety during his visit to Chen's mansion. The poem is still hang in the house. 4. Yong Zheng bestowed a jade carving tablet for PM Chen's wife, in which he wrote implicitly that the PM Chen's wife was a virtuous woman whose son will rule the world - something really odd. I will post pictures of PM Chen's former mansion and the jade carving tablet and the poem QL wrote. 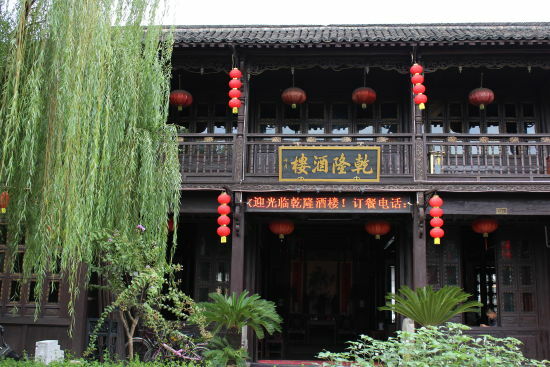 This is the place where Qian Long used to dine when he's in Haining. Now the place is called 乾隆酒家 - Qian Long Restaurant. The food was awesome, but the 黄酒/ rice wine produced by this restaurant is the best part. it's pork inside, but I have no idea how they make the skin. Totally new dish for me. Unfortunately I can't upload pictures directly from my computer. I have to host the pictures somewhere first Therefore those pictures were not taken by me. The soup is fishball soup. It tasted really good, the texture was so soft unlike the usual fishball. Thank you so much for this thread ! I learnt a lot of things regarding Qian Long thanks to you and I'm now convinced myself that he was at least a half Han ! !